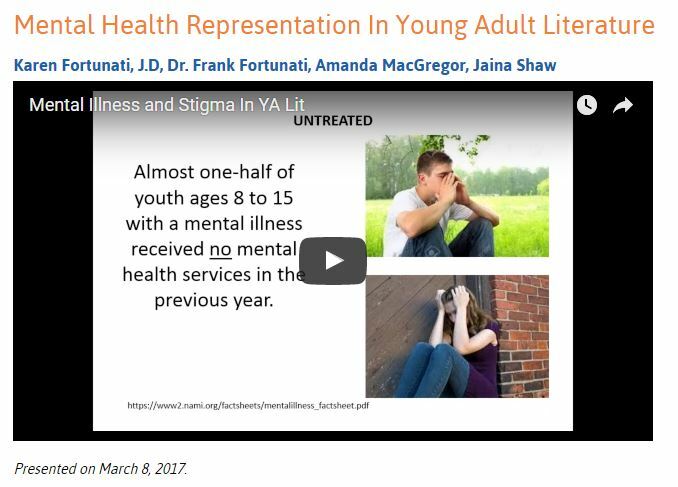 On March 8, I was part of a panel that presented a webinar on Mental Health Representation In Young Adult Literature for the International Bipolar Foundation. Together with author Karen Fortunati, psychiatrist Dr. Frank Fortunati, and librarian Jaina Shaw, we talked about teen mental health statistics and why seeing compassionate and accurate representations of mental health issues in young adult books is so important. Our webinar has now been archived, so if you have a spare hour, and have anything at all to do with teenagers, you may want to check it out. I presented on the importance of stories helping remove stigma, shame, and silence at NerdCon: Stories last year. Minneapolis station KARE 11 interviewed me about it. If you’re in Minnesota, you can come on May 6 to Teen Lit Con at Henry Sibley High School, 1897 Delaware Ave, Mendota Heights, MN. I will be presenting a breakout session, It’s Okay to Not be Okay: Mental Health in YA Lit, from 12-12:45. More information here.